If you’re interested in a successful retail store career, you can aspire to eventually becoming the head of store operations. The head of store operations is required to manage all of the operations of the store, including the inventory,employees and financial information. 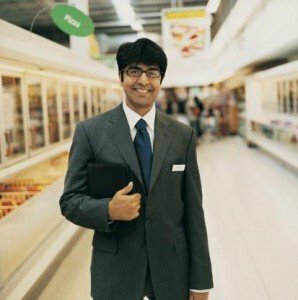 What Is a Head of Store Operations? Many of the tasks that keep a store in operation will be delegated to others by the head of store operations. The head of store operations is the person in charge of everything regarding the operations of the store. The head of store operations will need to view numerous financial and management reports to locate areas in which efficiency could be improved and identify any potential issues before they occur. Often, the head of store operations will need to figure out the general sales trends of the store to determine the best inventory to bring in. The head of store operations may work directly under a district manager or may work under the owner of the store. The head of store operations will usually delegate the responsibility of hiring and firing employees, but they may do it directly in smaller stores. The head of store operations may also conduct or be involved with the evaluation of employees on a regular basis. What Does a Head of Store Operations Do? The head of store operations has an extremely important role that consists of gathering all of the information about the store and optimizing all of its operations. Those in this position may need to be very familiar with the ERP software solutions that govern the company and will need to be very knowledgeable about the industry the company is in. Often, it is the responsibility of the head of store operations to identify any trends that may be useful in increasing the company’s revenue. Many of the tasks that keep a store in operation will be delegated to others by the head of store operations. However, the head of store operations is expected to manage all of these tasks and step in as is necessary. The position usually requires many hours of labor, but is extremely well accommodated. Most companies will offer profit-sharing based on certain metrics to those within these highly skilled positions. According to O*Net Online, the field of store operations is fairly broad and offers many unique opportunities. How Do You Become Head of Store Operations? A head of store operations is usually, though not always, promoted from within the company. Usually, a head of store operations will have to have at least a Bachelor’s Degree in Business or a related field. A Master’s Degree will make applicants for this type of position more desirable. Those within this position will usually have a significant amount of experience within the industry, averaging about five to ten years. They will need to have proven they have the responsibility and capacity to lead their employees and manage every aspect of the company. How Do You Advance as Head of Store Operations? Those that are successful may be able to move into a position as a business operations manager. This is a very similar position that deals with business rather than retail locations. Some rankings list a business operations manager as one of the best business jobs available, with a very low unemployment rate and a high median salary. Those that want to advance within the field of retail will need to increase or sustain their revenue. The most successful individuals in these positions will network with others within the retail industry and will be a leader their employees can follow. They will need to optimize their inventory and personnel to create and maintain a successful retail location.